See how customized Hybrid PMS can benefit your property. How does the Hybrid PMS work? Once your property is set up in MyPMS, BookingCenter technicians customize a Desktop PMS system especially for you, synced to the MyPMS system. A local copy of the Desktop PMS is installed on your Macintosh or Windows PC which acts as a “backup system” when internet connectivity is lost during business hours. Once your internet connection comes backup, all ‘online’ bookings and payments are automatically synced. ‘Offline’ bookings and bookkeeping will need to be reconciled (read about how this is done here), but you’ll never revert to pencil and paper again – and your guests won’t notice any down time. For a more technical analysis, read the Terms and Conditions for the Hybrid PMS or ask us to explain it for you. Get Started with a 30 Day FREE Trial of MyPMS today! The Hybrid PMS is a ready-to-go onsite system – for Mac or Windows – that can be used for check-ins, check-outs, registration, confirmations, cancellations, charges, and payments during outages. 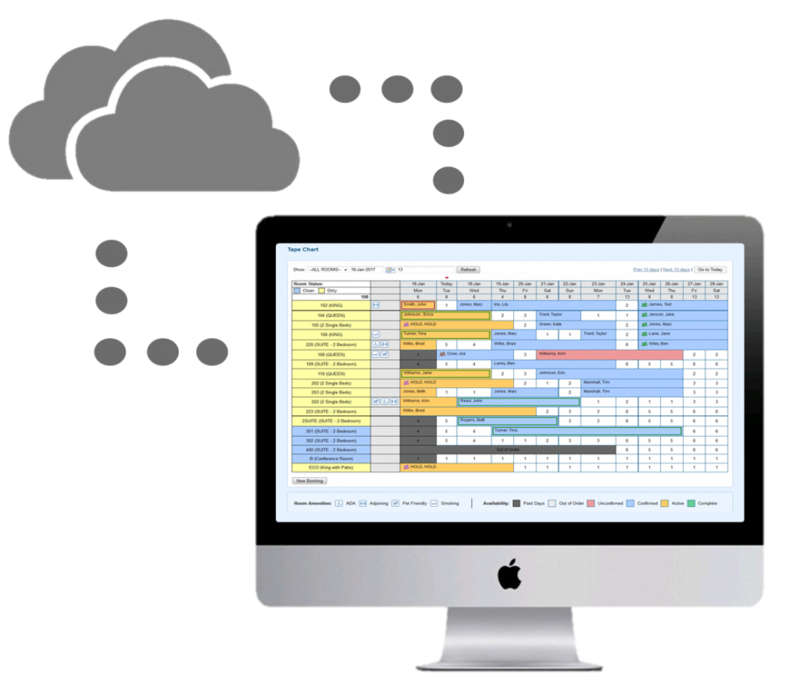 This “Hybrid PMS” system is designed to help you avoid disruptions for your guests and record data easily. While you are offline, just continue to use your Desktop PMS system as you normally would for bookings during the outage. After the Internet has been restored, all data data booked, modified, or cancelled through your Booking Engine or GDS/OTA will seamlessly integrate to MyPMS, avoiding reentry.